"This is a big year for Franco, with two prestige films, Howl and 127 Hours, and now a short story collection." And now, the big year continues. James Franco along with Anne Hathaway are reported to be this year's Academy Award hosts. I anticipate Franco will earn an Oscar nomination as well for 127 Hours, so that will just add to Franco's accumulation of 2010 being a big year for the young star. Honestly, I can see Hathaway having some funny charm that matchs with her goof-ball comedy turns (think Get Smart). James Franco on the other hand is hard to picture in a "successful" way, but who knows maybe I'll be wrong. Picture credits: From Movieweb's post, Alien Prequel Wants James Franco and Anne Hathaway? Who knew that little infographic would be the precursor to the next Oscar hosts! Happy Birthday to Ed Harris who turns 60 today. Ed Harris is a favorite performer of mine, there's simply certain roles he's played that I can't imagine anyone else playing. The range of film work Ed Harris performs in has been both larger films and smaller. Although, the larger films (The Rock, Apollo 13, A Beautiful Mind) seem to me more of an exception than the rule. In fact, most "bigger films" tend to be with his favorite collaborators, Ron Howard and Peter Weir. And it's those directors that really benefit from their relationship with Harris. I look forward to Ed Harris' performance in Peter Weir's The Way Back due in limited release this next month. But even beyond what I expect to be a well perceived performance, I am excited to see what Harris does over this next decade, as his diverse acting abilities can certainly carry on into Harris as a man in his sixties, in fact, it could open up new roles for him and I can see him stepping into those just fine. Pictured above: Ed Harris with Saoirse Ronan in the Peter Weir film The Way Back based on the adaption of fiction/non-fiction book The Long Walk by Slavomir Rawicz. There's some actors who seem to arise out of nowhere. I remember having this reflection in 2007 when Eddie Redmayne an unknown in my book started appearing in the cast of prestige films. After seeing him perform in a less-than-stellar capacity in The Good Shepherd I couldn't help but compliment his agent, not Redmayne's ability for some stellar roles. And while Redmayne continues to get unique and interesting roles (a lead role in the Marilyn Monroe/Laurence Olivier biopic in 2011) and a lead role in Starz TV mini-series Pillars of the Earth, his name has strayed from the award circuit and the news stands. I still maintain his lack of bankability, long or short term. That being said...Andrew Garfield is another out of nowhere actor who seems to have an amazing agent. Garfield has done some indy-film work before 2010 but this year has landed himself in the A-list cast of the film Never Let Me Go alongside Carey Mulligan and Keira Knighley as well as a highly praised performance in David Fincher's film The Social Network. We'll see how much award season praises the Facebook-based biopic, but it seems to me like Andrew Garfield will have an excellent chance of some award attention (unless he looses out in favor of Justin Timberlake). That being said, Garfield's career is taking a quick turn with him taking the reigns of Tobey Maguire in the Spider-Man film series set to play Spidey/Peter Park in 2012. From there, we'll see where Garfield goes, but in my assessment, it seems like Garfield doesn't just have an amazing agent, but also has some talent that has the potential to take Garfield to places that Eddie Redmayne could never go. In honor of "Black Friday" I present to you my favorite movie with the word "Black" in the title. 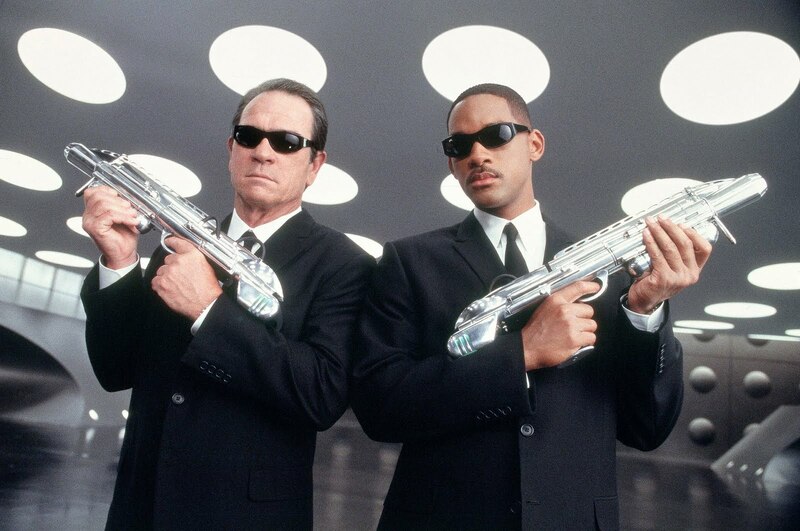 The Winner: After some careful deliberation I've decided it is Men In Black. This sci-fi action comedy doesn't score a #1 spot in many categories, but I'll easily place it here amongst other contenders (Meet Joe Black, Black & White, Diary of a Mad Black Woman, Black Sheep, Creature from the Black Lagoon, Black Orpheus, Black Beauty). Runner-ups: Pirates of the Carribbean: Curse of the Black Pearl and Black Hawk Down. I don't personally reflect here often, but it's Thanksgiving, so why not. 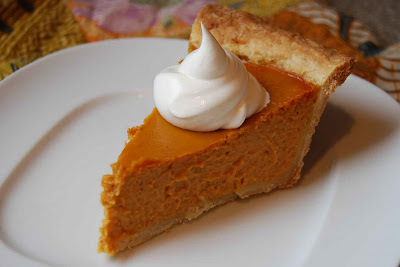 As I get older, I find that I enjoy Thanksgiving more and more every year. I enjoy the fact that as a holiday Thanksgiving has this fantastic family appeal, yet minimal stress or excessive preparation, or even expectations, as you might experience with...say...Christmas or a birthday. 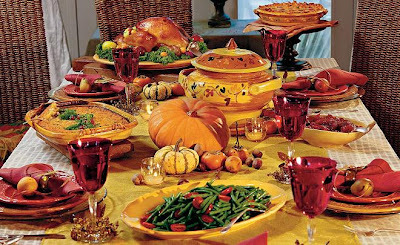 Maybe for the meal preparer this day has more stress in thinking about pies crust, cooking a giant bird, preparing mountains of potatoes, and arranging seating. But in all that work, butter, and dirty dishes, something magical happens. I worry sometimes about our society becoming disconnected from each other, independent, and lacking meaningful human interaction. And the amazing thing about Thanksgiving is that you can't do it on Facebook. You can't do it through the mail. You do it around a table. I've had some amazing Thanksgiving's over the years, with my different parts of my own family, with friend's families, and everything in between. From three people to twenty-five, and it is what it is. No compulsory requirements, no extension to the holiday. What happens that day is Thanksgiving, and it's wonderful. There's so much to be thankful for and I hope you have people to be thankful with today. I'm thanksful for all those whom I've ever sat around a table with on Thanksgiving Day. 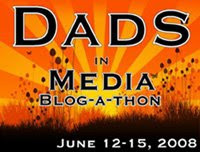 Picture from Do Better Blog. 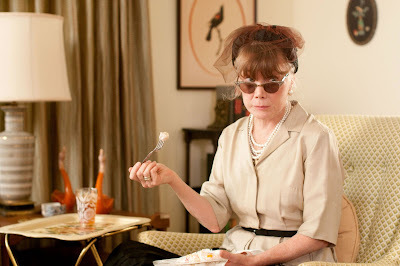 In the 2011 film release of The Help, Sissy Spacek certainly doesn't play the biggest part as the elderly Missus Walters, but I certainly look forward to her performance in the role. 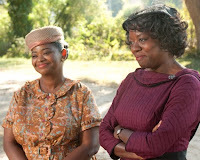 The other day I shared my appreciation for Kathryn Stockett's book The Help. At the same time, in my post I voiced some hesitation about the 2011 film adaptation. As a female centric story the cast certainly looks like Gary Marshall Valentine's Day film, uniquely capturing every demographic of film viewer (Emma Stone, Allison Janney, Sissy Spacek, Viola Davis, Jessica Chastain, and Bryce Dallas Howard). But if the film plays out like the book, the sauciest and most interesting performance will probably be that of Octavia Spencer who plays the part of Minnie Jackson. Octavia Spencer, who also performs as Minnie Jackson on the audio performance of the book, and one would think this role could be one of those "Oscar contender types of roles." (Spencer is pictured right with Viola Davis). That being said, for the love of this film, having it been directed by an untested director, Tate Taylor, makes me nervous. These are the types of films that are amazing, or fall flat on the screen and I'm certainly not ready to jump on any band wagons. Especially since Tate Taylor is also on the untested screenwriter. Here's hoping I'm wrong, but this film will have to be on the "wait and see list." It's mid-August 2011 release (August 12, 2011) suggests that the studios have some confidence in this film releasing it around the time of "similar demographic" releases Eat, Pray, Love (2010) and Julie & Julia (2009). The theme, adaptation of books women love staring women. We'll see what this is a gem or stinker soon enough. 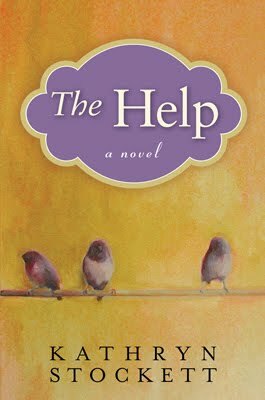 I finally got around to The Help by Kathryn Stockett a book that intrigued me since it's steady rise in popularity since it's early 2009 release. The Help admitably does have a female leaning with a huge ensemble of female characters in the early 1960s in Jacksonville, Mississippi. I remember when I was in history classes, and we had a teacher that encouraged us to look at history through a political, economical, and cultural lens. When ever we talked about the culture of a time period the focus would often be on women, when they had been excluded from the conversation on economics and politics. In that regard, I felt like Stockett created some texture to the history of the civil rights movement by creating a perspective of the white and black women of the South during the time of Martin Luther King Jr., nonviolent protest, and Rosa Parks. But this book isn't just a historical read through a cultural lens, it's really just an intriguing story that couldn't be told in any other time or setting, and perhaps that's really the magic of this story. I appreciated the characters, the story telling, and the tone of which The Help is written, and with a film adaptation coming out next year, this seems like the type of book you want to read and not watch. Needless to say, I'm apprehensive about the film adaptation, but this book is a worthy read. The Academy Awards documentary branch announced yesterday their shortlist for documentary contenders for this years award. Like last year, I hope to watch as many of these as possible before nominations are announced. By Oscar Nomination Morning (a holiday in my book) 5 of these will be chosen as nominees for the Oscar for best feature length documentary. 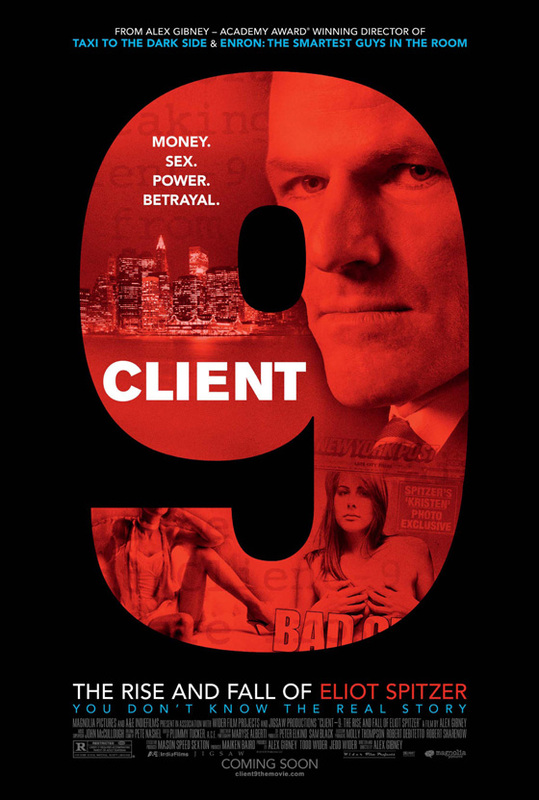 Client 9: The Rise and Fall of Eliot Spitzer, Alex Gibney: The story of New York Governor Eliot Spitzer, whose quick gubernatorial position ended with resignation when plagued by scandal. Enemies of the People, Rob Lemkin and Thet Sambath. A son of victims of slaughtering of Khmer Rouge in Cambodia's killing fields, film maker Thet Sambath spends time earning the trust of those who participated in the massacres and tells their story. Exit through the Gift Shop, Bansky: Banksy a famous graffiti artists who has maintained general anonymity turn the camera on a French shop owner who is attempting to capture Bansky on film. GasLand, Josh Fox: Josh Fox travels across the United States to investigate the American natural gas boom that is created when the new drilling process of "fracking" starts to boom. Genius Within: The Inner Life of Glenn Gould, Michele Hozer and Peter Raymont: An attempt to tell the story of the personal life of the Canadian piano mastermind Glenn Gould. Inside Job, Charles Ferguson: A film that attempts to tell the story of the global financial meltdown of 2008 with narration by Matt Damon. 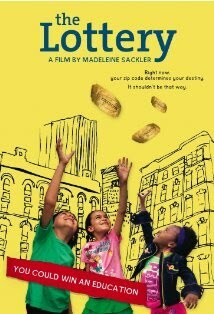 The Lottery, Madeleine Sackler: The story of four African American families in the The Bronx and Harlem who enter their children in a charter school lottery in hopes of a better education for their children. Precious Life, Shomi Eldar: The story of an Israeli pediatrician and Palestinian mother who is trying to get treatment for her baby with an incurable disease. Quest for Honor, Mary Ann Smothers Bruni: The investigation of honor killings of women in tribal regions of Kurdistan. 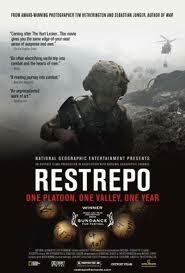 Restrepo, Tim Hetherington and Sephastian Junger: A film following a US Army Platoon's deployment, the journalist covering them for Vanity Fa ir and their time at their outpost, OP Restrepo . 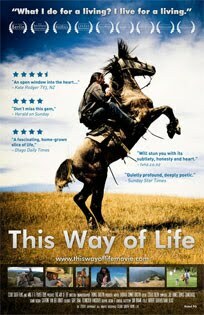 This Way of Life, Thomas Burstyn: The story of four years in the life man and his family in New Zealand living a life that's in contrast to much of the developed world with six kids, 50 horses and a parenting style that's different the man's malevolent adoptive father. The Tillman Story, Amir Bar-Lev: A film about Matt Tillman, the America football player who enlisted in the United States Army after September 11, 2001 and died in friendly fire, although it was originally presented as a death in combat. 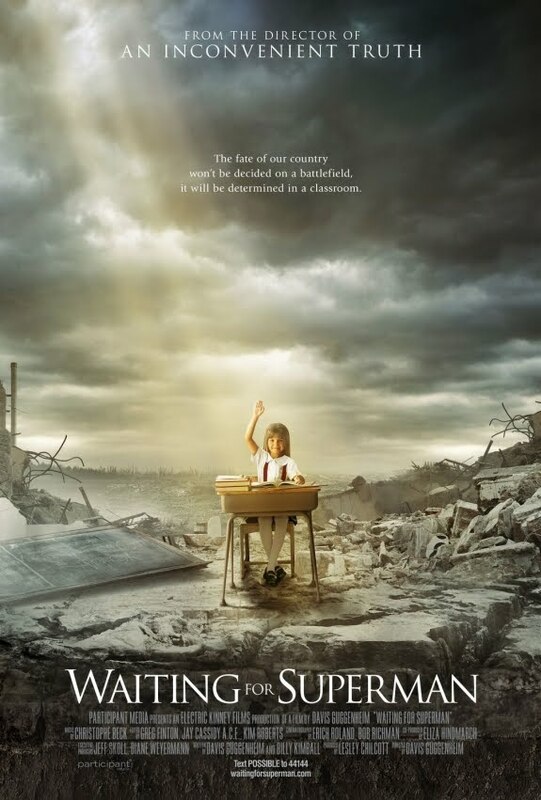 Waiting for 'Superman', Davis Guggenheim: A film by Guggenheim (Oscar win for An Inconvenient Truth) that follows kids through an education system presented as an inhibitor to true academic success. Waste Land, Lucy Walker: A story that follows contemporary artist Vik Muniz who's story from the world's largest landfill to international art stardom restoring landfill items and turning them into art. William Kunstler: Disturbing the Universe, Emily Kunstler and Sarah Kunstler: Two daughters explore the life of the father one of the most polarizing lawyers of the 20th century who had represented clients such as Malcolm X, Abby Hoffman, and Martin Luther King Jr.
"...this post makes a great point. Lots of dramedy lately. I can't even imagine this year's Best Film - Comedy or Musical GG category :)) because you know, Love & Other, Kids Are All Right, Alice in W, How Do You Know are all SO hilarious..." --Alex in Movieland on StrangeCulture Post Do we Want Christmas movies (like we did 10 & 20 years ago)? I loved Alex's point about 2010 film year as he began to ponder the Golden Globe categories that are built around comedy & musical film (best film comedy/musical, best actor comedy/musical, best actress comedy/musical) because the fact of the matter is there are some slim pickings. Unless of course, as Alex points out, these dramatic films that are a little "less heavy" are placed in the comedy category by the golden globes. Considering that the Golden Globes will make stretches in category placement, here's a list of this years potentials based on my personal assessment, am I missing something? I'm also keeping in mind that they go for star power and budgets so small independent films no one has heard of probably are not close to making the cut. This year's comedies that could make Golden Globes top 5, ranked by my amateur prediction of their nominatableness (if that were a word)...note, I know films like "Eat Pray Love" is not a comedy or a musical, but I think that's the type of stretch that could required this year. Do we want Christmas movies (like we did 10 & 20 years ago)? 20 years ago, yesterday, the highest grossing film of the year was released, Home Alone. A uniquely entertaining live-action Christmas film. 10 years ago, today, a not so unique, strangely not entertaining Christmas film came out, The Grinch, staring Jim Carey. And despite my lackluster feelings about this film, The Grinch was the highest grossing US film of the year 2000. You would think that this would inspire film studios to load up November with Christmas themed releases, but last years A Christmas Carol came in ranked 21 for it's domestic gross and hardly achieved the level of clout of these two films. 2010 surely doesn't even have the possibility of repeating this trend from the past two decades with hardly a single holiday themed release (with the exception of FreeStyle Releasings The Nutcracker in 3D, which I joked about a year ago when Robert Zemeckis name was associated with this project). It seems a little sad in a way, I'm not sure what to make of the lack of holiday themed films on the big screen. To me, it makes me feel like Hollywood's out of touch with our Thanksgiving film releases are Burlesque and the film Love and Other Drugs. So alas, 2010 is not seem like a year for holiday films, which is a pity. 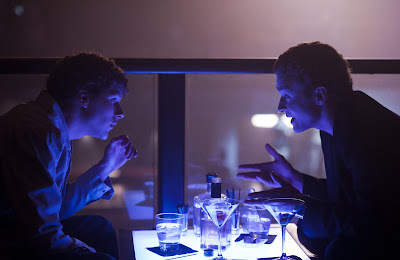 If there is a moment that the film The Social Network seems to really achieve something, it is the scene where Sean Parker (Justin Timberlake) shares the story of Roy Raymond with Mark Zuckerberg (Jesse Eisenberg). They're at a loud club and Parker's date, a Victoria's Secret model leaves for a moment providing an ideal opportunity for Parker to share the story of Roy Raymond, the founder of Victoria's Secret. Raymond was a graduate of Tuft's University and the Stanford School of Business. Raymond is said to have opened Victoria's Secret after experiencing embarrassment associated with trying to buy his wife lingerie in a public store environment. The company started out as a catalogue, and after 5 years, in 1982, he was able to sell the company to The Limited. A decade later, in 1993 at the age of 47 he committed suicide jumping off the Golden Gate bridge. I love this scene because it really helps to carry the theme of this film between the connection between Zuckerberg's personal desires mixed with his business success that came as a side-effect of something much more personal. I think this "parable" in the film serves to suggest that worldly success achieved at handling a different personal deficiency and fear does not assuage the personal issue at the core. I thought this scene was really the heartbeat of the film, and the scene after watching the film I think of most often. David Fincher's inclusion of this moment and Aaron Sorkin's writing of this scene really demonstrates some true artistry and message. I have started a new blog project this weekend. I fully plan on continuing writing for StrangeCulture, this new blog called An Idea 2 Blog is designed as a reference tool for inspiration. More or less, this blog will capture some of my personal "research" I do when I'm planning future blog post, or cultivating an idea. And perhaps, I might consider blogging about something like the 40 year anniversary of the Southern Airlines crash that killed Marshall University football players, but maybe that idea never takes flight...doesn't mean I can't share it with my blog readers. I highly encourage you to check out An Idea to Blog (at idea2blog.blogspot.com), subscribe in a reader for some regular blog-inspiration. I also welcome your comments here on this post on how you might make this blog project a success, and how this tool would be most useful to you. Thanks for your readership and interest in this future project. We'll see how it grows and takes flight. I'm sure the blogosphere is more interested in this Sunday's TLC premier of Sarah Palin's Alaska then many other TLC premiers. There are so many things I could write about the 8 episode "reality TV" program that's premiering and I feel like anything I say probably has been said this week. 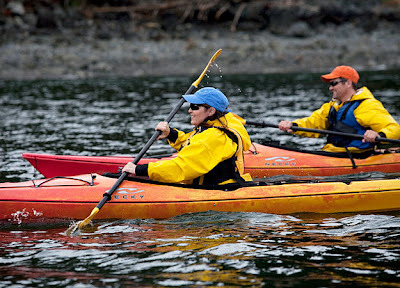 This 8 episode series taps into many interest such as travel, outdoor living, and reality TV. 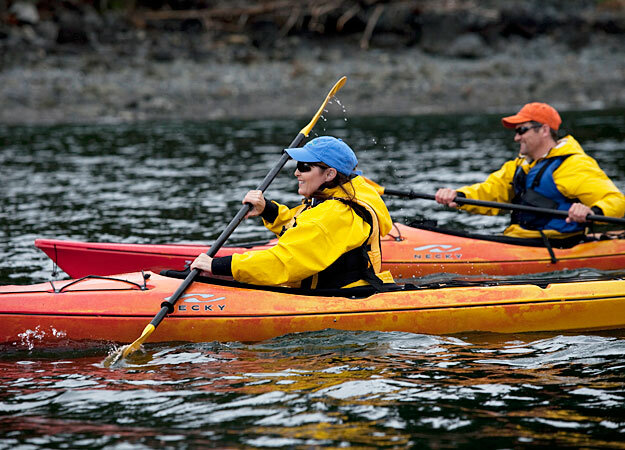 But more than people's interest in the scenic wilderness of Alaska this series takes a polarizing political figure and provides them a non-political platform to try to show a controlled image of cable television. I can't imagine that the shows ratings will explode, but I'm sure there will be plenty of commentary on what is shown. Like her, love her, or hate her she has to be one of the most interesting people in America today. Out of nowhere she was announced as John McCain's running mate and somehow the rest is history. Apart from her political stamp of approval and her force in changing to discourse of many Republicans and Americans, she also has been a unique pop culture icon. Her style created one of the most interesting Saturday Night Live characters, she continues to draw large crowds, her daughter and daughter's fiance Levi Johnson created their own political headlines, and the families already seen Reality TV with Bristol Palin's role on Dancing With the Stars. And some might say, if Sarah Palin's 8 episode TV series is viewed as a success it's not like this will be something that easily recreated, no matter how other politicians may try. In fact, the only other political person who has as much "star power" to pull off a Reality TV show seems to be President Barack Obama. And I could see people perhaps being interested in watching "Barack's Chicago" on TLC. Beyond that, I don't think anyone else could pull off the feat Palin is accomplishing. And like everything Palin does, it will surely stir up her detractors, be met with a warm reception by her fans, and causing waffling in the middle by those who haven't been drawn to one pole or the other. That being said, I don't know what this show will ultimately due to the direction of Sarah Palin's political and cultural course, but I can say that I can't imagine anyone else pulling something like this off as well as I expect she will. She's a cultural icon of our present day, and her ability to continue to remain in the spotlight is a testimony to her creativity and strange star power. When we're little it's pretty easy to dream of having that famous "job" that brings us a life of fun, celebrity status, fame and riches. Maybe when you were 8, or even 12, you wanted to me a baseball star, a pop idol or the president of the United States. There were times when I thought I'd want to be an actor or author. There's something inside of us that wants to be something, I'm not sure where that comes from, but maybe it's as simple as saying we want to be important. We want our life to matter. Maybe that's why when we realize that the competition out there is pretty far and wide and that our talent might not lead us to the NBA or to Hollywood we expand our view of impact to a more "ground level" status. Maybe now we think more locally and 1-on-1, stuff like dreams of being a doctor or a teacher. We think about making an impact in individual lives. And sure dreams of celebrity-level fame might still linger as we dream of being "discovered" somehow and somewhere, maybe we dabble in our dream on the side with a room set aside for our art studio, dream up documentaries to film or write poetry on the side. But we also chisel out our own path and decide we'd be okay be a famous architect, professor, historian, or whatever seems to fit. Most people do not chose in their teen years they want to be an account, a hedge fund manager, or IT professional. I would see office buildings and think "to work in one of those would be the death of me." Of course, I think it can be different if your family is poor or has limited education. While the big picture dreaming of celebrity-style status is still present, some of those office-jobs start to look good early on because to be educated and professional is an accomplishment that means something to a family in a way someone of privilege might not experience or appreciate in the same way. Regardless, the passion for influence seems to get snuffed out by articles on 401ks, discussion of pragmatic decision making, and making mature adult-like decisions. I don't deny the importance of saving for retirement, being wise in decisions, and making a logical progression of adult decisions. Yet, I don't think that desire to make an impact dies. Instead it seems people end up feel trapped. And maybe not everyone, but I hear it, I see it. Today I was discussing some of these ideas and they were saying how they just want to leave something behind. Someone said "People don't have to know my name, but I want to leave something behind." And then Mount Rushmore was mentioned. And everyone agreed, that they would be happy being the not-famous creator of Mount Rushmore instead of the faces of the men on the rock itself whose names people can typically name. Yet then I asked, "So you'd rather be someone who carved a rock then be a world changing founder of America?" And then it was quiet, as if realizing how quickly they traded in a dream of being great for the acceptability of simply leaving a memento behind that lasted. Is it foolish to carry the spark that says "I want to change something?" Is it foolish to direct your life with a vision that will change the world? Should we accept leaving anything of value behind as a suitable replacement for making a significant difference in the world? Or is this just all foolishness and faulty dreams? 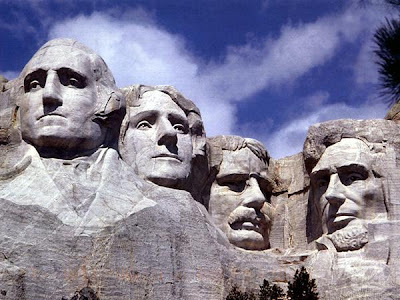 The People of Mount Rushmore: the faces on South Dakota monument known as Mount Rushmore are George Washington, Thomas Jefferson, Theodore Roosevelt, and Abraham Lincoln. And the sculptor of Mount Rushmore was Gutzon Borglum, whose son, Lincoln Borglum, completed oversight of the project after his father's death in 1941. Last year I was following the diversity of the director race, which included the role of women director's in last year's film season. Kathryn Bigelow being the fourth woman to be nominated for best director, and the first to win. (Pictured above the four woman nominees Lina Wertmüller, Jane Campion, Sophia Coppola, and Kathryn Bigelow). 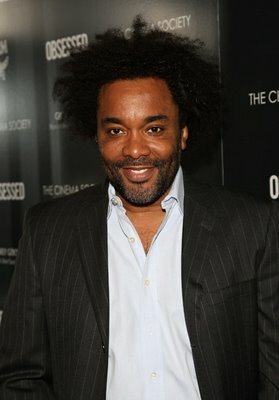 Additionally, last year Lee Daniels (pictured right) became the second African-American to be nominated for best director for his work on the film Precious. The only other African-American director was John Singleton who directed Boyz N The Hood in the early 1990s. So, with a diverse race like we saw last year, it seemed like there were new pool of directors on the scene, with new voices and new stories. Other diverse directors have occassionally broken into the race, such as Hiroshi Teshigahara (Japanese, Woman in the Dunes, 1965), Akira Kurosawa (Japanese, Ran, 1985), Héctor Babenco (Argentine, Kiss of the Spider Woman, 1985), M. Night Shyamalan (Indian-American, The Sixth Sense, 1999), Ang Lee (Taiwanese American, Crouching Tiger Hidden Dragon, 2000; Brokeback Mountain, 2005), Pedro Almodovar (Spanish, Talk To Her, 2002), Fernando Meirelles (Brazilian, City of God, 2003), and Alejandro González Iñárritu (Mexican, Babel, 2006). 2010 does not seem to be shaping up with any clear diversity to the directors race, which in some ways says that this race doesn't offer many unique voices. Instead you have a fairly homogenous group of potential nominees (read: white males). Trying to get excited about this years film year is a little challenging. Outside of the award circles, it's hard to find many people talking about the Oscar race. That being said I recently decided to revisit by summer list of 50 potential best picture nominees and decided that it actually wasn't a half bad list. 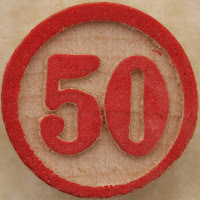 There really aren't 50 true contenders, but I decided to leave my original 50 on the list, and added a few more (to replace those that fell out to 2011). So here's my new list, 5 months later. 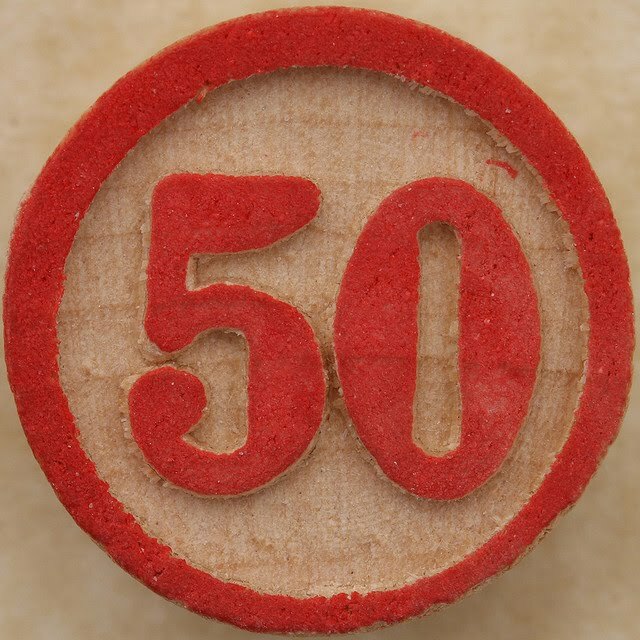 Number 50 image from Leo Reynolds. If I'm a casting director, any role that I may have considered to be a role for Jack Black, it would seem that now that role is far more appropriate for Zach Galifianakis. I don't think that Jack Black is going to disappear by I get the sense that in the world of prestige comedy, that Zach has the upper hand over Jack these days. This weekend the comedy Due Date staring Zach Galifanakis and Robert Downey Jr. will hit theaters, and I expect that this film will be at the top of film fans must see list, regardless of whether it gets good reviews (the love of The Hangover, perhaps is setting the bar high here for director Todd Phillips). Yet, I think that film fans will be excited to see Zach in this role, in a way that a Jack Black performance wouldn't attract. And perhaps maybe Zach isn't a better Jack...but perhaps we'll see a line drawn in the audience the two attract. Jack Black might stick with the Kung Fu panda crowd, performing in roles like Gulliver's Travels. Where on the other hand Zach Galifanakis' comedy might skew more towards the R-rated spectrum, in films where Zach's can present the "comical fat looser" role in a way that is perhaps less, well, goofy. And it is in this distinction, that perhaps the world will find that there is room for Jack Black and Jack Galifanakis. But if Zach had been on the scene, perhaps so previous Jack Black films (say Tropic Thunder or Shallow Hal) may have been Zach roles...maybe. I must, say, I'm pretty excited it's November. November is growing on me as a favorite month of the year. I'm not so sure about the change in cold weather, there's something about cool fall today, but things like time changes and dark drives to work and electric bills rising aren't quite my thing. But despite the cold weather and darker days, there's something great about November. I think it's the anticipation of the holiday season. Not the stress, not the busyness, but the promise of a beautiful time of year with a different emphasis on togetherness, family, and celebrating. November also offers the promise of a change in the film season. Suddenly the studios start bringing out the goods. Now, I'm not sure what it says about Thanksgiving that the big thanksgiving films this year include Burlesque and a movie about a Viagra sales man (Love and Other Drugs), but the November film scene has some potential.